By using state of the art video marketing tools, you can deliver value to your clients and build your personal and agency brand at the same time. Those of us who have been in the real estate industry our whole careers understand that people do business with people, and there’s no substitute for building personal connections with your clients. And whilst technology continues to disrupt and play a greater role in our industry, the key to success lies in harnessing these new tools, to deliver valuable content, education and information to clients. 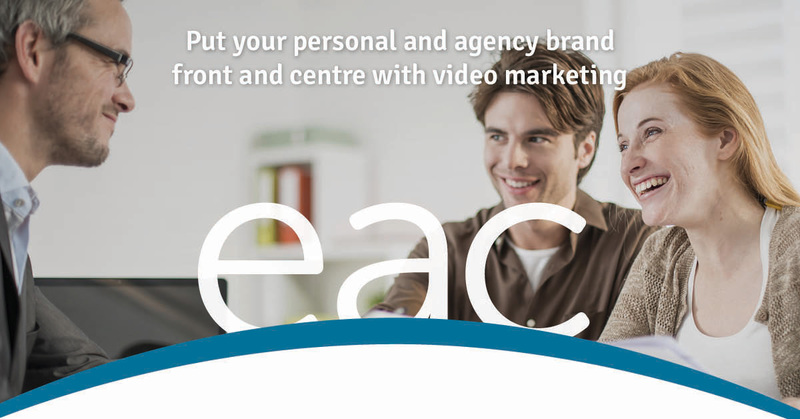 That’s where the EAC video marketing tool can support you. By making professional grade videos quick and easy to produce, you can connect and deliver custom branded content to your clients like never before. By creating valuable market updates, video blogs, client testimonials and content relating to your area, the video tool is a valuable resource for creating a library of your agency’s digital marketing assets. Using the handheld smartphone stabiliser kit, you can accurately portray more of your property without the cost or effort of a full production crew to produce professional videos for sales and property management. Create a digital stocklist of your listings accessible anytime anywhere. Corporate branding with intro, ending and watermarks build your brand. Share your custom branded videos seamlessly across your Social Media accounts and with clients via email and other messaging apps. Effortless video upload to your own YouTube channel including your agency and contact details for better search engine optimisation. Send personal follow up video to clients, showing them you truly understand their needs. Join our interactive webinars and discover how our Video Marketing solution for your business can give you a point of difference and help you win that next listing. These sessions are available every Wednesday at 10:45 am AEDT Book in now.